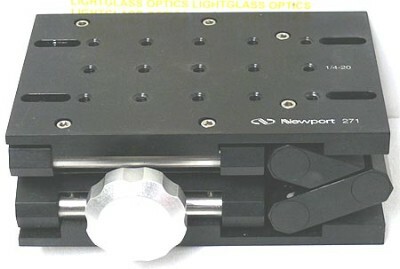 The Newport 271 High Load Lab Jack is the upgraded version of the Newport 270 Lab Jack. It features heavier construction and Newport's patented orthogonal hinge system makes it more stable as well. Rated to carry a load of up to 200 pounds, the 271 will lower to a height of 2.5 inches and elevate up to 4.25 inches. Another clever innovation is that one platform is drilled and tapped for 1/4-20 English applications, flip it over and the other platform is setup for M6 metric use.